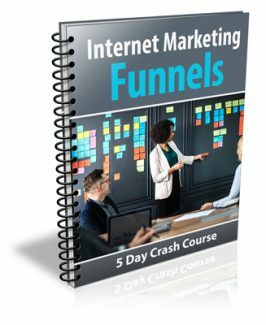 5 Day Crash Course You'll Learn How Simple Internet Marketing Funnels Can Help Your Business! Inside Each Lesson you will receive easy to follow information that will help you learn how to set up simple funnels that will attract more prospects and convert them into paying customers for any business. The best part is... it is absolutely free! "The Internet Marketing Funnels Course was designed with beginners in mind!"